The Italian Sea Group, which operates out of the recently acquired NCA (Nuovi Cantieri Apuania) shipyard and includes the prestigious Admiral and Tecnomar brands, has presented its new Admiral X-Force 145m project. The 145m megayacht represents the perfect symbiosis between Dobroserdov Design Studio headquartered in Monaco and the Italian Sea Group. 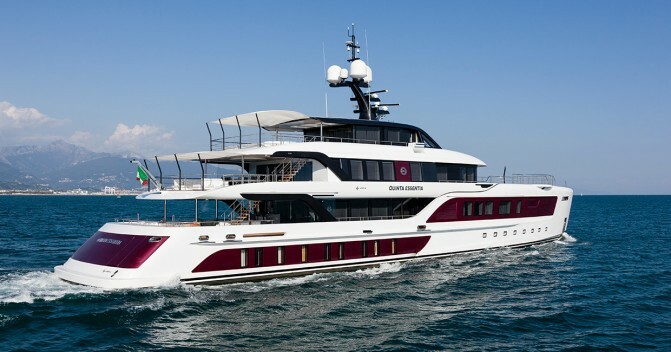 Admiral is one of the most famous brands of luxury motoryachts, while the NCA shipyard specialises in building commercial vessels up to 200 metres in length. 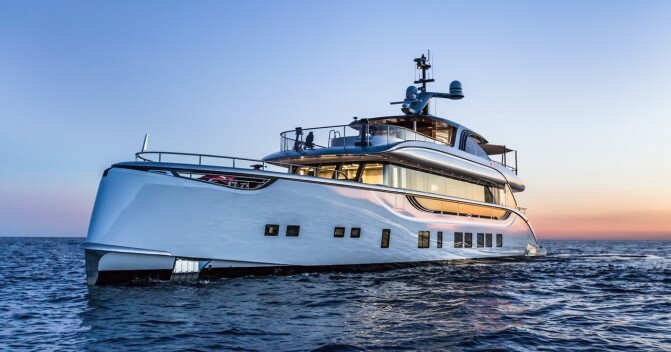 Potential buyers are likely to be attracted by the exterior design of the Admiral X Force 145 by Dobroserdov Design with its vast open spaces more commonly found on a much larger yacht. Among the standout features are the multiple folding balconies and a beach club distributed over two deck levels. 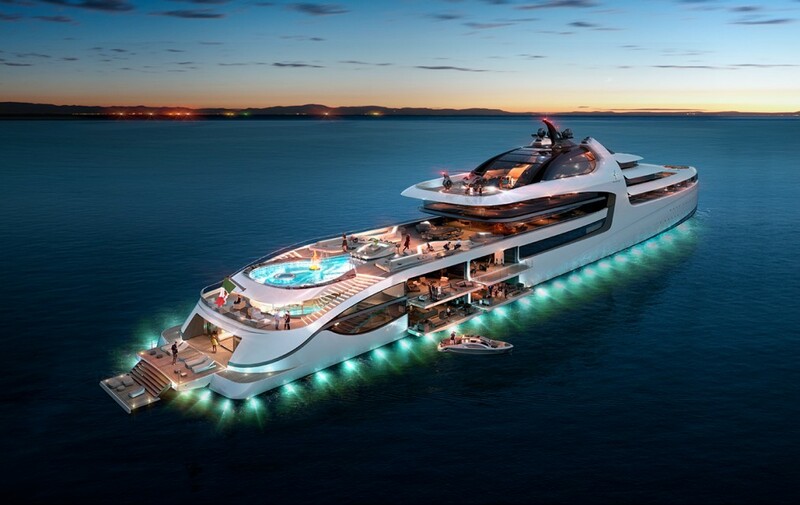 The latter, designed by Gian Marco Campanino, includes a bar, a spa area and a swimming pool and promises to be the life and soul of the superyacht. 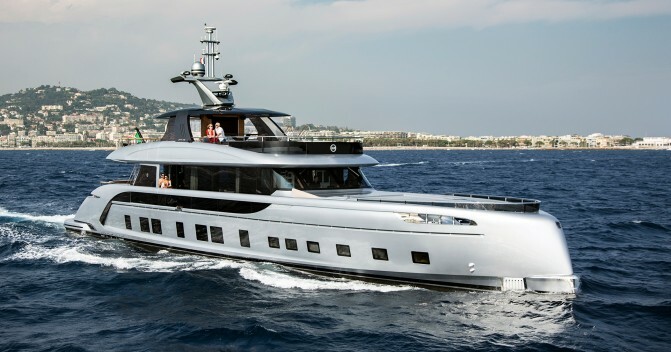 The proven hull of the commercial vessel M/N Messina, delivered in 2013, was taken as the basis for the Admiral X-Force, but the superstructure was created from scratch with special attention to the elegance of the lines, modern aesthetics and huge glazed areas to provide plenty of natural light. 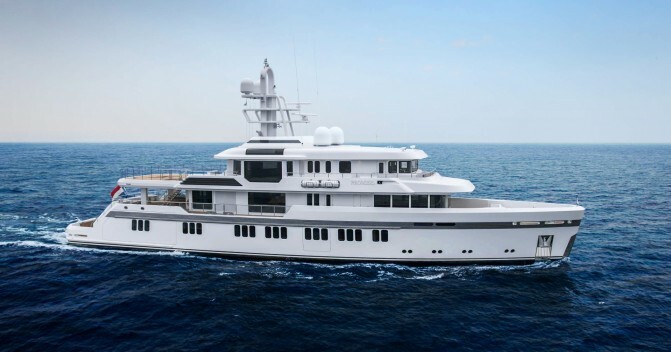 The yacht will have two master cabins and two VIP cabins with panoramic windows, while the main stateroom will boast incredible ceiling heights. The designers have not overlooked the technical specifications and the yacht will feature two helicopter landing sites and a hangar. And for lovers of underwater exploration, she will also be able to carry a personal submarine.